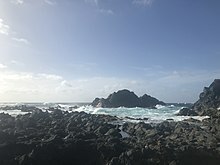 ^ "Sitios de Memoria de la Ruta del Esclavo en el Caribe Latino". www.lacult.unesco.org. Retrieved 4 March 2019. 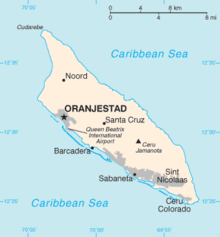 ^ "Cities in Aruba - Guide to Aruba's Biggest Cities". Retrieved 3 June 2018. 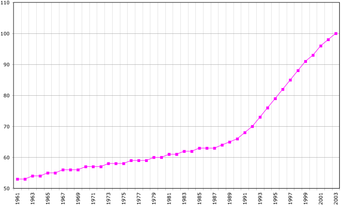 ^ Aruba Central Bureau of Statistics (29 September 2010). Fifth Population and Housing Census, 2010: Selected Tables (PDF) (Report). pp. 75–76. Retrieved 3 June 2018. ^ "Hands for Ziti: Teacher & Students from International School of Aruba Team Up to 3D Print e-NABLE Prosthetics | 3DPrint.com | The Voice of 3D Printing / Additive Manufacturing". 3dprint.com. Retrieved 15 September 2018. ^ "Schakel College in Tilburg • Tilburgers.nl - Nieuws uit Tilburg". Tilburgers.nl - Nieuws uit Tilburg (in Dutch). Retrieved 15 September 2018. 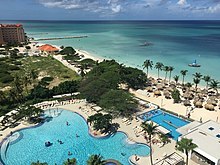 ^ "Aruba". HighEnd-traveller.com. 31 May 2016. Retrieved 8 December 2017.